There are galas and there are galas! 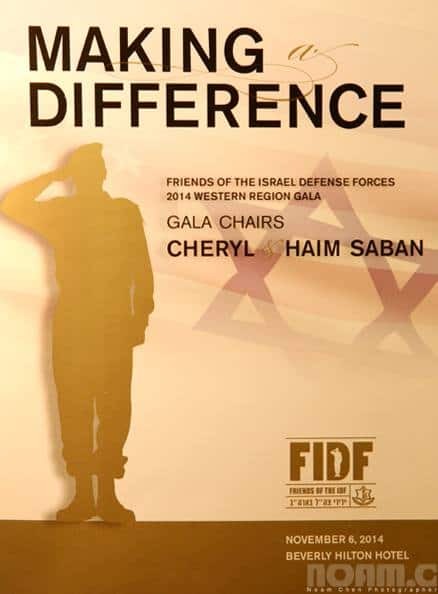 When Haim and Cheryl Saban, with their ‘who’s who’ friends the world over, get together in their annual Friends of the IDF gala it is a gala to remember (http://www.fidf.org/). And each year they try to better the accomplishments of the previous year. The Friends of IDF (Israel Defense Forces) was established over 30 years ago in order to be a pillar of support for Israel’s soldiers. Since its inception, FIDF has been working tirelessly to ease the burden, lighten the load, and improve the lives of Israel’s soldiers and their families. Of no choice of her own, Israel has been fighting for her existence since her rebirth. Until the Arab enemies that surround her put down their arms and call for everlasting peace with the Jewish homeland, the IDF is Israel’s life sustaining artery. 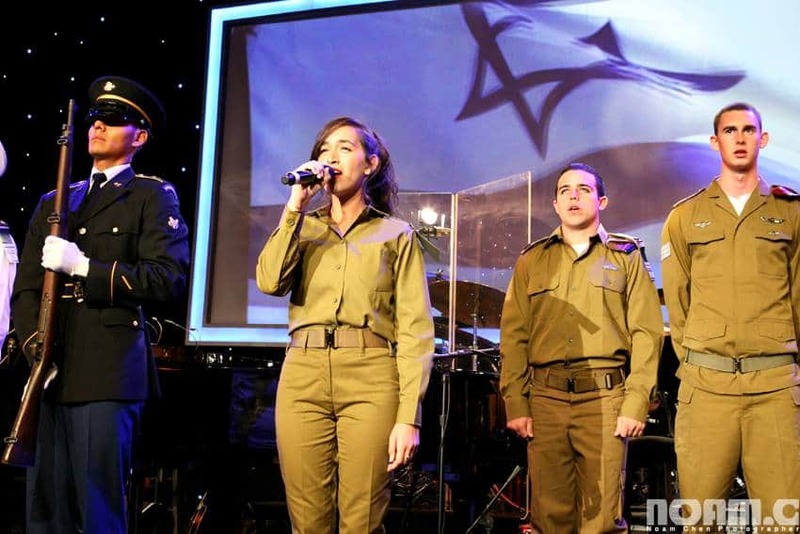 Last week, at the Beverly Hilton Hotel, in Beverly Hills California, Over 1,000 guests gathered in salute for the IDF, a message they have conveyed through a group of exceptional Israeli soldiers, some are simply war heroes with an unbelievable story to tell, who arrived to partake in the gala in order to represent the entire IDF Corps. Among the group of the visiting guest-soldiers, all exceptional, some even heroes, to name a few, were Tzur Goldin, the surviving twin brother of Hadar Goldin z”l, his body is still in captivity in Hamas’s hands; Lt. Eitan who risked his life when he ran into the tunnel to look for Hadar Goldin and instead found traces of his blood and equipment; Y., the medic of Orev, the Nahal infantry special reconnaissance unit, who treated the wounded deep inside Gaza territory, while around her fierce fighting was taking place; F-16 pilot major A., who was in charge of operations research, instructing the pilots where to drop a bomb and where not to hit; or Lior, who shot the terrorists who tried infiltrating Israel from the sea; L. from the engineering corps who was in charge of blowing up the tunnels; not to miss Max Levin, the ‘lone’ soldier who left his selfishness in Los Angeles and joined the IDF to protect the Jewish State and was injured during the war. They are young and committed; Heroes they are. People of many different backgrounds and from every corner of the political spectrum, all who share one thing in common: profound respect and admiration of the men and women who serve in the IDF, gathered and opened their pocketbooks. Their money will be used to improve the welfare of the soldiers who are actively serving their country and those who are in reserve duty. The IDF, the first Jewish army after 2,000, due to its own circumstance has, nowadays, found itself to be on the frontline in defense against terrorists targeting the free world. Supporting the IDF is supporting the safety of the entire world. 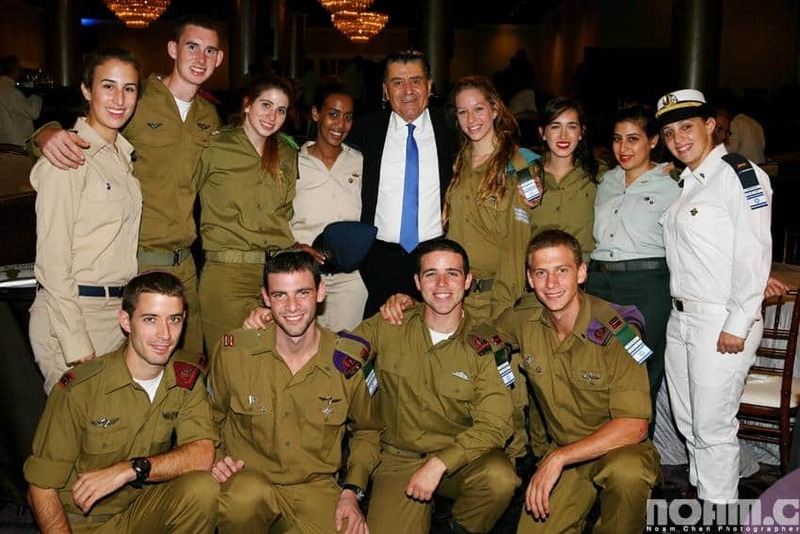 Friends of the IDF fill the gaps of needs which the government of Israel cannot meet. Today, there is no military base in Israel where at least one building that displays the ‘donated by the FIDF’ sign. Whether it is a gym, a congress room, classrooms, recreation rooms and the like, all relate to the wellbeing and welfare of the soldier. As each year, the gala, produced by Miri Nash, Regional Executive Director, is considered to be among the best in town, was a truly outstanding, and emotional spectacular. 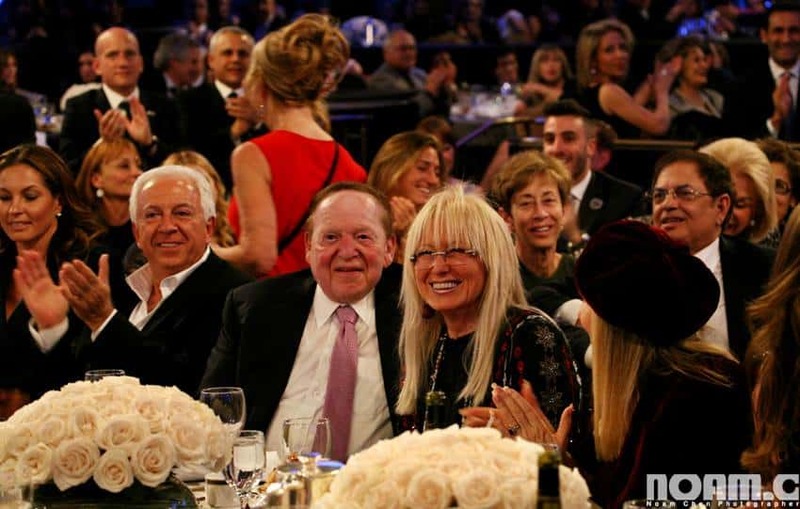 Studded with Hollywood stars, (Barbara Streisand, Arnold Schwarzenegger, and Sylvester Stallone, among others); was studded with top notch performers with master of ceremonies Dr. Monica Crowley and performance by David Foster, the Canadian Tenors and Ricky Martin, and was studded with more than $33 million, raised for the IDF’s needs. The annual financial goal was met, beyond the call of duty, and put a smile on everyone’s face. In a world of much uncertainly and instability, as the song goes, Hallelujah to the IDF and the FIDF, together they make our world a better place, more comfy and safer. As a Jewess, they assure me, the Jewish nation will triumph.